1. 43% lighter than the previous generation, built-in back clip, one hand handling. 2. 2190mAh big capacity battery, micro-USB charging design. 3. Not only support 3.5mm earphone but support bluetooth headset with dual-mode bluetooth chip. 5. It has a maximum power of 3W and a call distance of 1-5 kilometers. 6. Even if there is no internet, you can share your location with your friends by APP. 7. Double click the function key on the right to turn to FM radio, 87-108MHZ supported. 8. LED lattice screen, simple and intelligent, clearly visible. Custom channels are not displayed by default, you need to connect to the phone application settings and select to display them. Mijia APP does not support the function of custom channel setting. 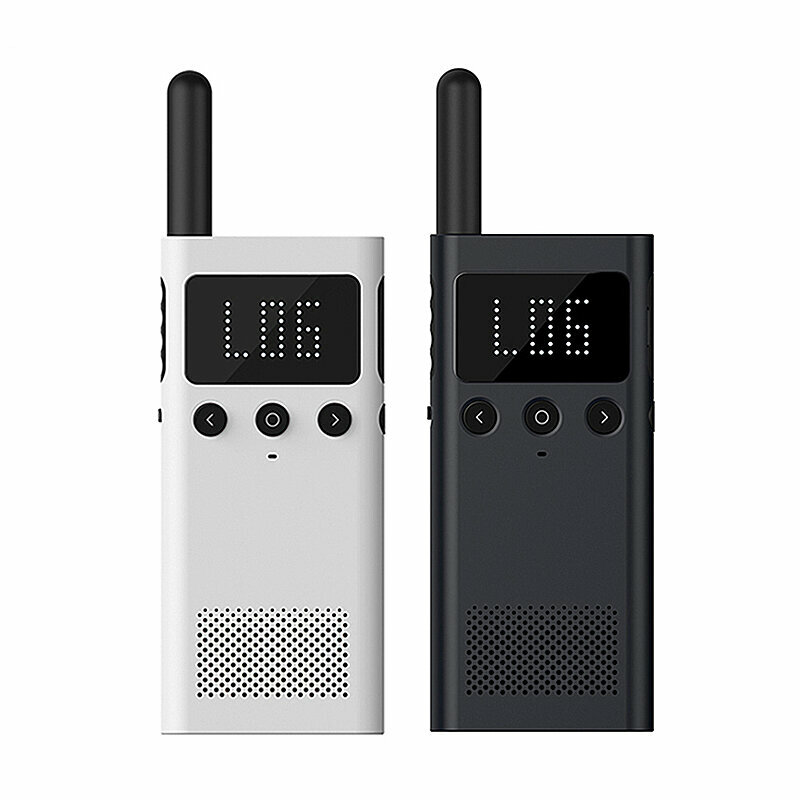 If you want to use this function, please download the Mijia walkie-talkie app: Mi PTT.